This is the original Golden Blend released several years ago by D’Crossier. 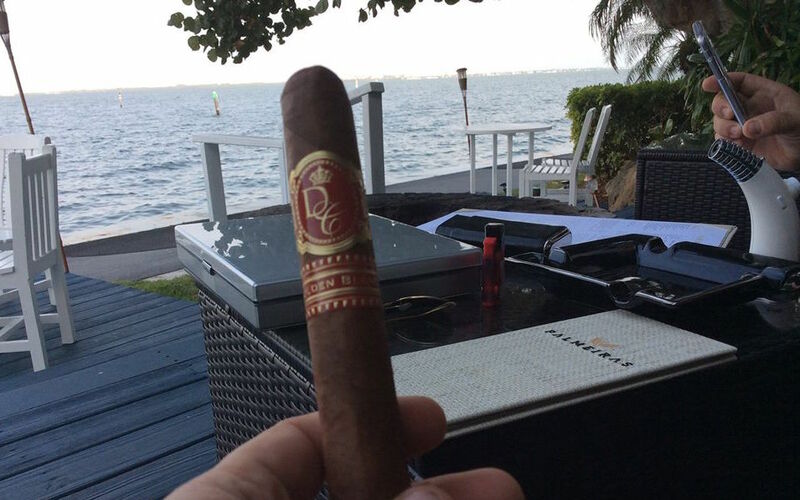 This cigar was smoked in a more informal setting than a Cigar Coop review as it was smoked at the Palmeiras Beach Club – home of the D’Crossier Humidor (see link for more details). At the same time this is a line I have smoked before and have held in very high regard. However, this was the first time I smoked the Double Corona. Overall this cigar fires on all cylinders and knocks it out of the park. There is a wonderful sweetness with this medium strength, medium-bodied smoke. I’m confident despite the less than formal setting, this Oasis rating holds firm. This cigar can be purchased at Mike’s Cigars.